Ever wonder how popular a GIF really was? With more than 25,000 GIFs a minute shared on Facebook Messenger alone, the ability to track the popularity of animated slices of pop culture has never been more needed. Wonder no more. 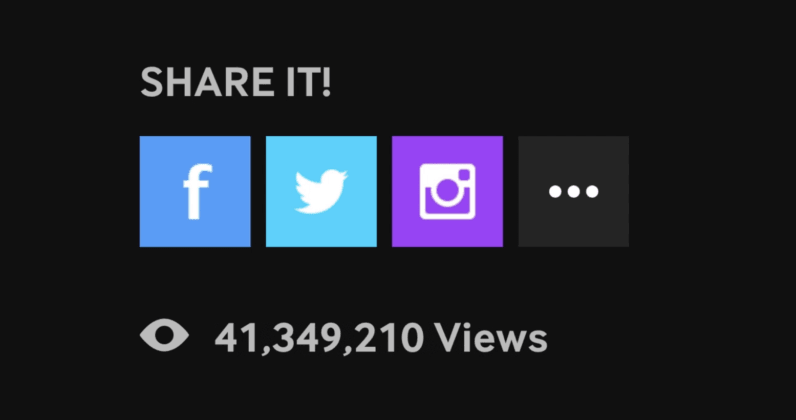 Giphy today is unveiling a brand spankin’ new feature that allows GIF aficionados such as myself to find out just how fresh that “new” GIF really is. Without the view counter we’d have no idea how many people saw James Harden throw shade at a sideline reporter (57 million). Or that Lil Yachty is responsible for ending some 27 million conversations with this GIF. Or that Rihanna is in serious need of a chiropractor after dabbing 14 million times. And now that GIF counts are a thing, I can’t help but wonder how we ever lived without them.